Chariots to the Western world. All glories to our magnificent Lord Jagannath. 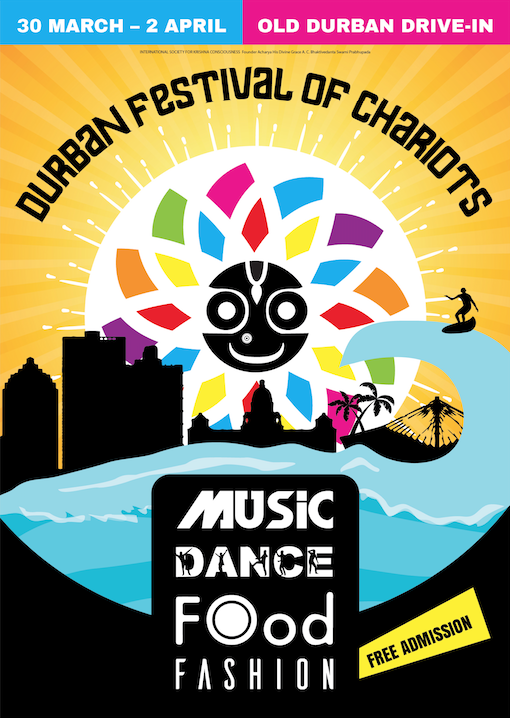 2013 being the 25th anniversary of the Festival of Chariots, ISKCON’s foremost festival in South Africa, ISKCON’s foremost leader in preaching through attractive and all-inclusive festivals, His Holiness Indradyumna Swami, has agreed to oversee the festival. After months of strategizing, Maharaj and his team are ready to launch the concept, highlights and services available. Bhakti Caitanya Swami and His Holiness Kadamba Kanana Swami. 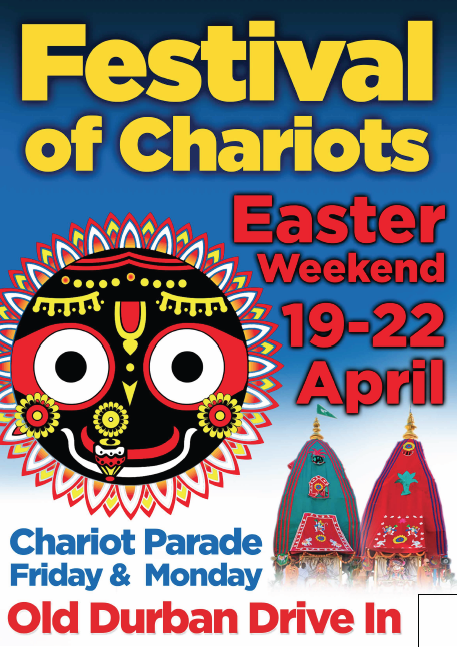 invest your time, energy and heart in the Festival of Chariots. 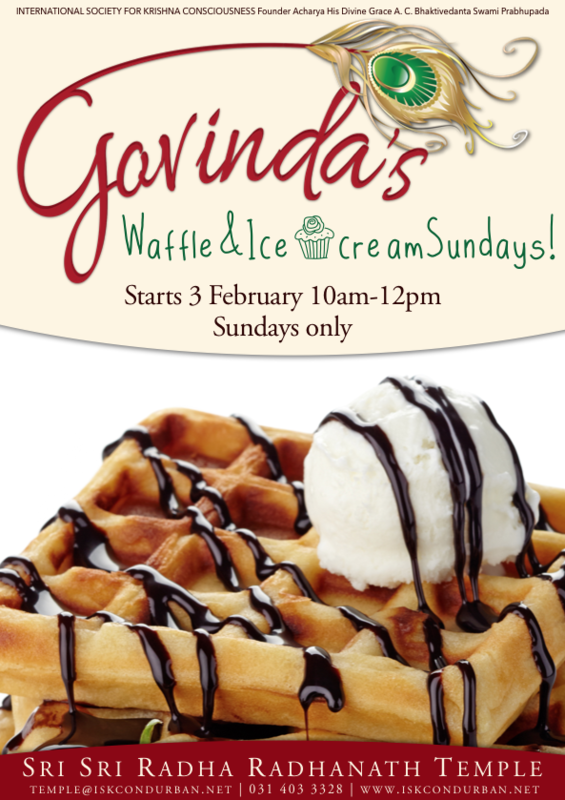 Sri Sri Radha Radhanath Temple host a special Healthy Milky Treats program. and nourish both the body and soul. 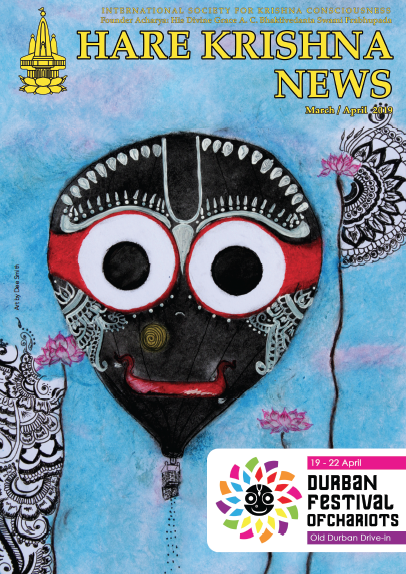 Be sure to catch a glimpse of Lord Jagannath’s crimson smile, and the association of many senior devotees, including His Holiness Bhakti Caitanya Swami, His Holiness Bhakti Brnga Govinda Swami, His Holiness Indradyumna Swami, His Holiness Kadamba Kanana Swami, and His Holiness Bhakti Brhat Bhagavat Swami. Book scores thus far: 12 000 books, this excludes sponsored books. You can still sponsor books by contacting the book office between 12pm-5pm daily. Finally, there will be no Sunday Love Feast on Sunday, 16 December, at Sri Sri Radha Radhanath Temple. We hope this meets you in the best festive spirits and may you all be blessed with Lord Jagannath’s glance.